Samuel Willard’s Premium Ambrosia Whisky it is a good, well balanced, single Malt Scotch Whiskey. The name Ambrosia in Greek mythology was the nectar of the Gods, and although it is a high claim to fame this is certainly a superb Scotch Whisky. 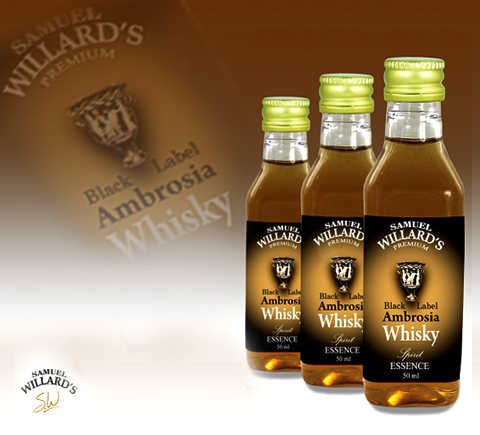 Samuel Willard’s Premium Ambrosia Whisky Selection produces 2250mL of spirit from each 50mL bottle of essence.